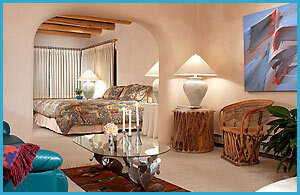 Ready for restful night at Taos’ premier bed and breakfast? Welcome to the Alyda room! 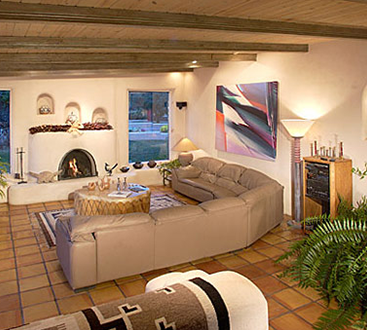 This spacious and beautifully-appointed suite has art by James Mac, a green leather sofa, and an adobe kiva fireplace by Carmen Velarde. 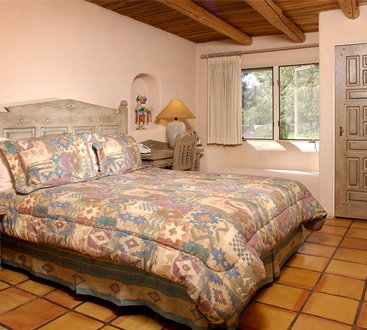 Take a load off in the cozy sitting area, or step through the arched doorway into your bedroom suite. What does this have that no other hotel in Taos does? For starters, you can enjoy the view of the gardens and orchard from a large corner window. You’ll also get an eight-foot hand carved vanity, private bath, and a king size bed (complete with a down comforter). Accommodations include television and telephone. 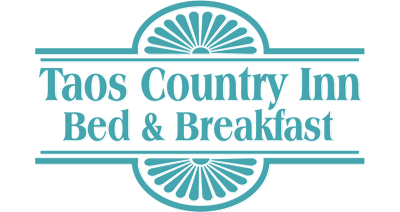 Reserve your stay at our romantic bed and breakfast today!